Exploding Kittens is a card game like Russian Roulette. 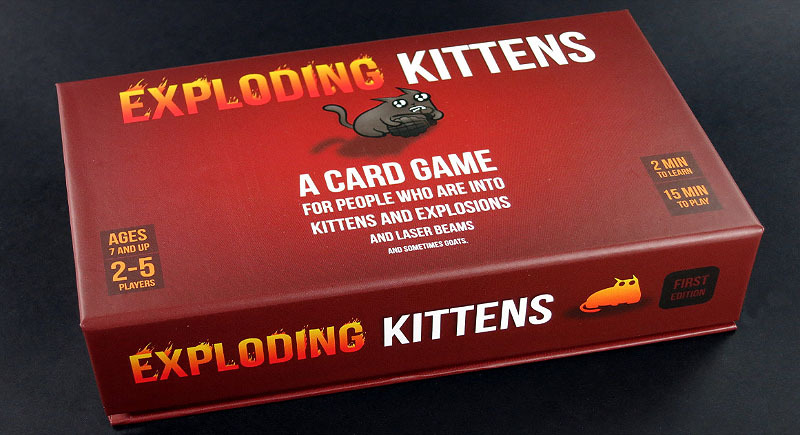 You'll have a deck of cards containing some Exploding Kittens. You play the game by putting the deck face down and taking turns drawing cards off the top. 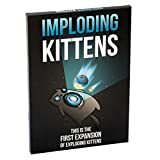 The deck contains different cards that let you avoid exploding by checking at cards before you draw (see the future) , forcing your opponent to draw multiple cards (attack), or shuffling the deck, etc.. 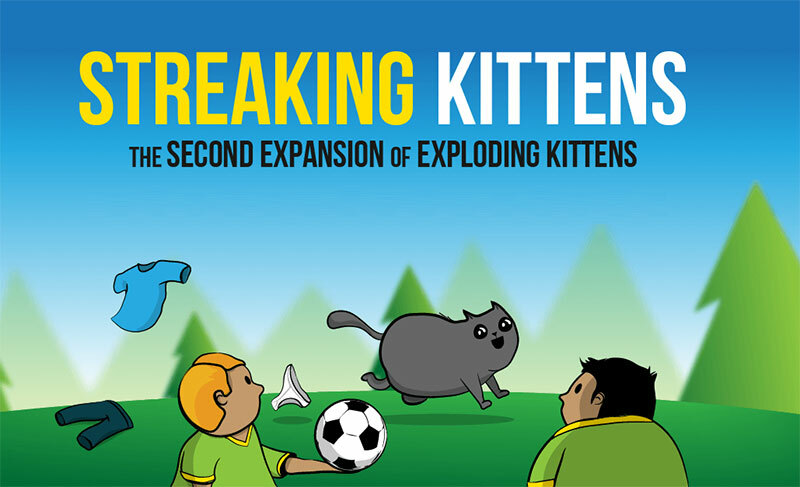 The game goes on and becomes more intense because fewer cards left means a greater chance of drawing the Exploding Kitten. When you explode, you lose. 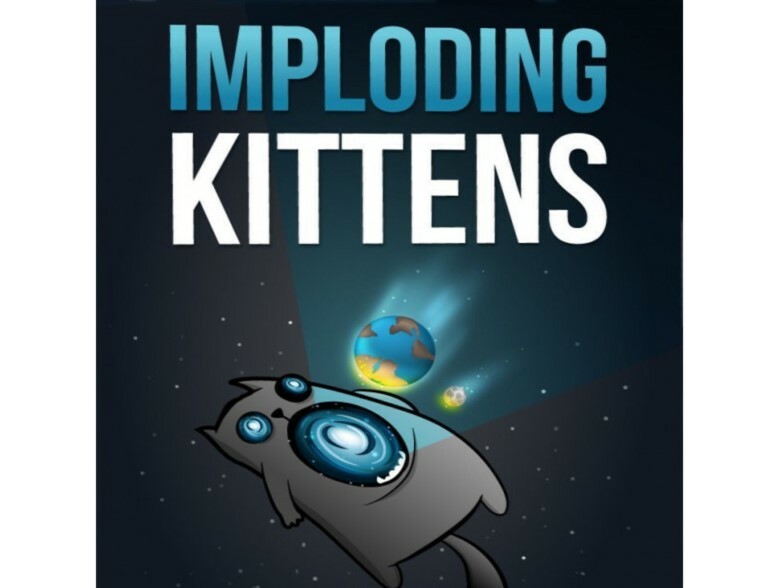 When you don't explode, you win and all of the other cards. Playing Pairs (where you get to steal a random card from another player) no longer only applies to cards with no instructions on them, it now applies to any cards in the deck with the same icon in their corners. 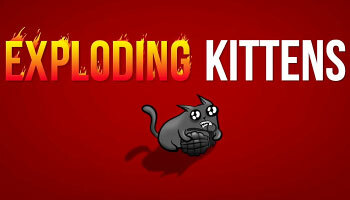 Remove the Imploding Kitten 1 from the expansion deck, and all of the Exploding Kittens 4 and Defuse Cards 6 from your main game deck.